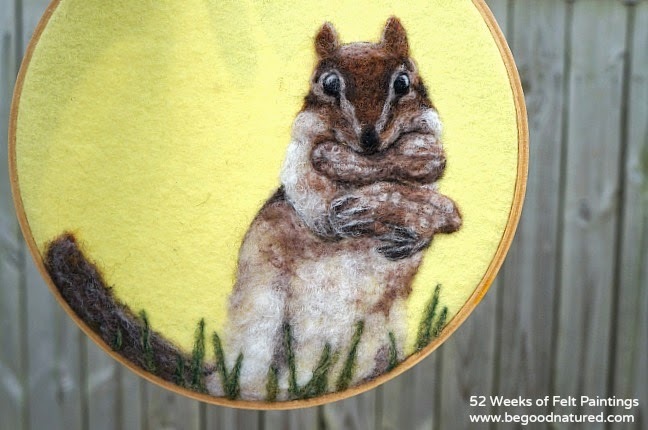 This cute little chipmunk has been my largest hoop felt painting and most time intensive felt painting yet. He took five hours to create! 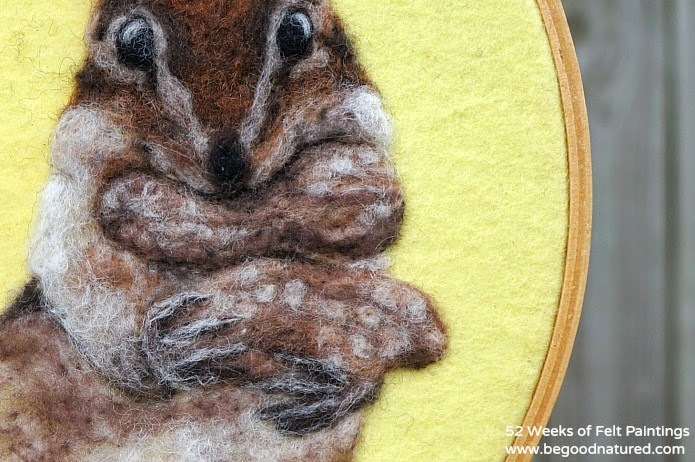 The most troublesome spots for me were his little chipmunk hands and those peanuts. It was worth it though, because I really like the way he turned out! I included a close-up shot of his hands and peanuts so you can see that detail better. Have a great weekend!